It’s #Knocktober … It’s Canvassing Time! Fall break is halfway over … have you made time to canvass yet? 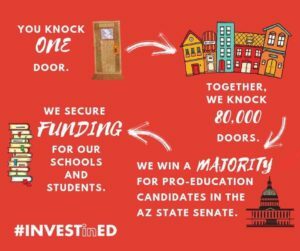 LD17 is a winnable district with candidates who are amazing supporters of public education, but they need our help to get out the vote. LD17 is also right in our backyard, so we have a unique ability and responsibility to make a difference there. CEA is challenging every site to get at least one team of 2-4 people to canvass just once during our fall break (canvassing more is encouraged, too!). There are literally LD17 canvassing opportunities every day and the weather is amazing right now … so no excuses! These canvasses are targeted to knock on doors of moderate, persuadable voters who are willing to listen to hard-working teachers. 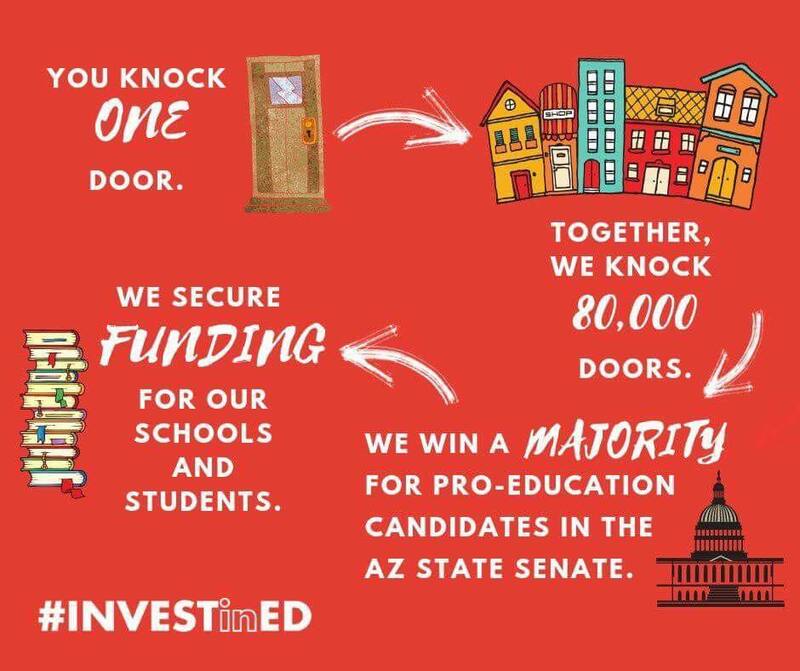 After we built up respect and credibility during #REDforED, we cannot afford to waste an opportunity to talk to voters who want to support us but may not know how to do that. Check out our EdWave Canvassing page for more details … let’s do this, Chandler!